The Chinese are playing to "two masters" and the Chinese news agency seems to like to "be first". If they find it, does it really matter ? And as long as JACC/AMSA get the info as well, I doubt anyone really cares. The problem with the suggestion of a criminal act by the captain motivated by political considerations is it just doesn't make sense. What could anyone hope to achieve by making a jet disappear without trace? It might hurt Malaysian Airlines a little but it is not like any blame can be shot back to the Malaysian Government. If anything the Captain's associations with the opposition seem to work in the Government's favour. "Malaysia Airlines Flight 370 flew north of Indonesia and around Indonesian airspace in its journey to the southern Indian Ocean, a senior Malaysian government source told CNN. The conclusion was reached by investigators after reviewing radar track data from neighboring countries. The plane did not fly over Indonesia or its airspace after making a westward turn in the South China Sea and flying across the Malaysian Peninsula, the source said." I had opined several hundred pages ago that there was no way the aircraft flew over Sumatera without being detected and challenged, especially in view of the sensitivity of Aceh Province to Indonesia. Whilst I understand that neither source is entirely credible, this is the first report that, indeed, the aircraft deliberately avoided radar tracking by both Thailand AND Indonesia. So the aircraft turned West, then North, Then West again, and finally South/South West towards the South IO. This would appear to eliminate ALL possibility that the aircraft was flying out of control as a result of a technical problem, after the ACARS and SSB had been "Lost". The Black boxes, if ever found, might not really help explain. The CVR is only good for 2 hours and whilst the DVDR might eliminate technical difficulties, can it really show what actually happened? It seems clearer by the day that SOMEONE didn't want the aircraft's flight path to be recorded or any "Evidence" found afterwards and deliberately chose the South IO to "Loose" all trace? The question as to who is that SOMEONE or SOMEONES may never be answered? The plane did not fly over Indonesia or its airspace after making a westward turn in the South China Sea and flying across the Malaysian Peninsula, the source said. I'm not really sure that this is new news. Most of the possible flight paths I've seen have had MH370 jogging to the North for some weeks now. Maybe what they are intending to point out is that they now believe it to be a deliberate act? there were so many false rumours on the flight track and so many speculative theories what happened that such news do not have much weight now. let them find the wreckage and we will see someday what and why happened - today no person in the world can say . "I'm not really sure that this is new news. Most of the possible flight paths I've seen have had MH370 jogging to the North for some weeks now. Maybe what they are intending to point out is that they now believe it to be a deliberate act?" Actually it IS to the extent that ALL the MSM have been showing a flight path right over Sumatera after turning West. Incidentally, the other "Loose end" is that, to the best of my knowledge, MH have STILL not released the Cargo Manifest, despite having promised to do so on many occasions. Why is that?? "Why is the Captain theory so insisted on by many here ? Are the crew the only ones who could fly the aircraft ? Not so in 9/11. But. This is not organised Hijack so if a Hijack at all some. Lone wolf passenger with some knowledge of aviation! But there is no purpose to a HiJack! No destination ( a crew would not run out of fuel trying to reach somewhere which they had no chance of reaching! A part knowledge passenger maybe !" Agreed. All we know is that the Captain was a passionate and dedicated Airman. There is NO evidence from Malaysian authorities OR from the CIA/FBI/NSA that I am aware of, to the contrary. And the First Officer was the Son of a Senior Malaysian Government Official. Of course, at this stage, nothing is impossible but I do think we should continue to respect the Flight crew until proven otherwise. In event of fire the smoke is vented overboard, so a fire can take hold unnoticed. Damage progresses to structure and wiring. At TOC, acars and vhf failure due damage is followed by dual fmc failure. Crew divert to WMKP, only lat/long waypoints can be used in alternate nav. Failure progresses :smoke in cabin, slow depressurisation unnoticed (no aural warnings-see AAIB reports) crew incapacitation. Fire out due low O2 partial pressure. A/C navigates in LNav to alt nav waypoints, last two erroneously entered and unchecked. My final post was to raise the possiblity that the last point latitude (WMKP) might have, under pressure, been entered as 5S, or 50S instead of 5N and that the a/c may gave been navigating to 5S100E or 50S100E. I suggested that the search should perhaps be along the 100E meridan, but at the time this was well east of where the search was being conducted. This latest news of the ping pickup at S25101E, if it checks out as the MH370 FDR, does lend some credence to the possiblity of an MEC fire as the original cause of the disappearance. "I suggested that the search should perhaps be along the 100E meridan, but at the time this was well east of where the search was being conducted. This latest news of the ping pickup at S25101E, if it checks out as the MH370 FDR, does lend some credence to the possiblity of an MEC fire as the original cause of the disappearance." Which explains how the aircraft turned West, then North, then West again then SSW? Surely your scenario would have played out at or about the time of the first turn and when the ACARS/SSB were "Lost"?? The DVDR will show all the recordings for the entire flight so will be able to show failures, or control inputs and will indisputably show whether the aircraft was deliberately flown to its current position and how that was done particularly was it ditched manually or did it just run out of fuel and crash. 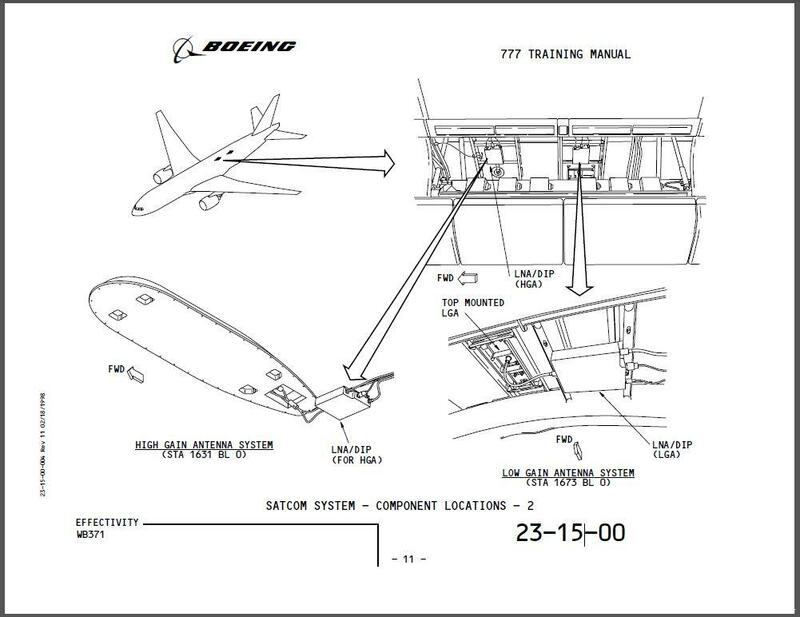 The CVR will give the last 2 hours of sound recordings which as with the Egypt air recordings, could show that someone was in the cockpit to the end and potentially who. But you are right that the period of the turn off the flight plan at handover which would give the most evidence on what actually happened will have been overwritten in the CVR due to the imposed limit of 2 hours. Not to say this disqualifies your theory but assuming there is fire detection, it would have likely triggered action by the crew. Do you know where the Satcom is located on a B777 three miles? That is no guarantee of anything. I'd put more faith in the fact that he has made plans to be married soon. 2. At the nominated position of the ping, the speed to get there given the two times above (0215 - 0811) would be between 356 knots and 370 knots. Somehow the laws of physics are being rewritten for us. Or, of course, there may be some new economic index of the truth being applied. IRU input would need to be working for Satcom to function. How many and which IRU? Last ACARS at time of batteries expiring? Maybe they should have had a little more faith in the basic data upon which their search was predicated. http://i57.tinypic.com/2e1txty.jpg shows all the known ,military classified satellites to the north of MH370 at around 1820 GMT....most are geostationary. I have factored in an altitude of 35000 feet. ReadMyACARS - Assuming the Inmarsat doppler values are accurate, I ran the math which gave me the track and speed. Assuming a straight track heading 182, mach 0.39 @ 12000, the predicted doppler values are very close: [-102.21237107180059, -140.52053354680538, -174.36227202415466, -204.76829959079623, -247.19930766150355]. No other combination of speed and track comes close. But with such a slow speed, the plane could not have headed off towards the west for long. It would have pretty much very quickly had to start heading south at around 0.81. The other Inmarsat doppler values support this. Then slowed down and dropped altitude at around 19:00 GMT.